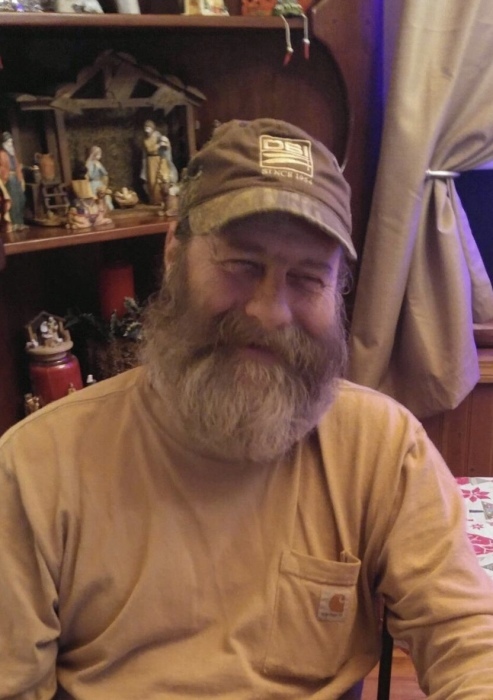 Don Ray Jenkins, 62, of the Wolf Creek Community in Almond, NC, passed away unexpectedly on Thursday, September 6, 2018 at Swain Community Hospital. He was the son of the late Edward and Ethel Andrews Jenkins. In addition to his parents, he was preceded in death by his daughter, Laura Jenkins Stiles, in October 2017, and his brother, Jerold Jenkins. Don Ray was a loving husband, father, and grandfather. He spent countless hours working as a plumber and well pump installer throughout Western North Carolina, especially in Graham and Swain Counties. He is survived by his loving wife of 42 years, Martha Moore Jenkins, his son and daughter in law, Seth and Shana Jenkins, his grandson, Peyton Jenkins, his son in law, Roy Stiles, his brother, James Jenkins, and his sister and brother in law, JoAnn and Rick Sharp, all of the Wolf Creek Community. Funeral services will be held at 7:00 pm Monday, September 10, 2018 at the Panther Creek Baptist Church of which he was a member. Reverend Randy Collins will officiate. The family will receive friends from 5:00 until 7:00 pm Monday at the Church, prior to the service. Committal services will be held at 11:00 am Tuesday, September 11, 2108 at Panther Creek Cemetery. Townson-Smith Funeral Home is honored to be serving the Jenkins Family. An online register is available at www.townson-smithfuneralhome.com.